Brought back from Australia by the late Tom Varley in the 1970's. Returned to steam by him, then sold at auction in August 1984 to a German enthusiast who lived near Hamburg. Acquired by the present owner, S Plumb, in August 2004. A complete restoration has been carried out. 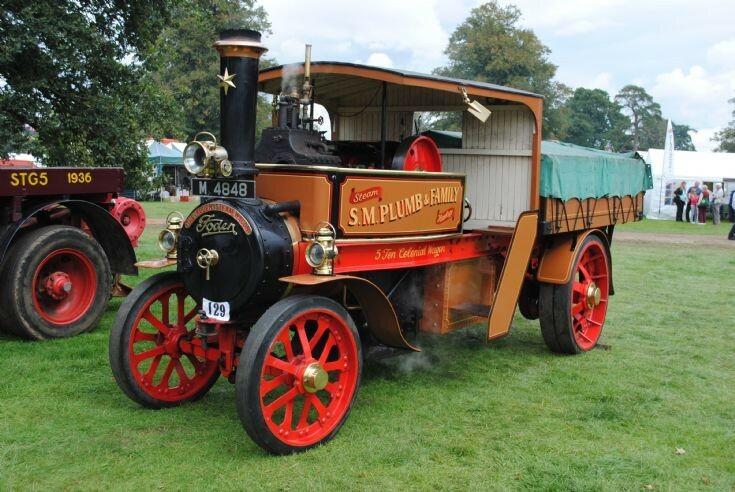 This well presented waggon (Works No 4086) was seen at the Bedford Steam Rally, Bedfordshire, England in September 2011. Love this Foden and would love to know more about it. I would like to email you about a project that I have underway but am not prepared to explain unless communication and information remain secure. I have input my email below and will explain if you are able to find time to reply to me. Added by Sherrill on 31 January 2015.